lexandros Eleftheriou joined the firm in 2017 as an Associate Attorney. He has been practicing law in Nicosia since 2014 and specialises in the area of Medical Law, Medical Negligence, Tort Law, Administrative Law and Human Rights. Alexandros appears daily before Courts of all instances and jurisdictions, and is additionally acquainted with governmental departments in Cyprus. He is engaged in a multi-faceted interaction of the law, by providing academic articles and articles in daily newspapers on contemporary legal matters, such as Medical Law, and moreover, by preparing several law projects. 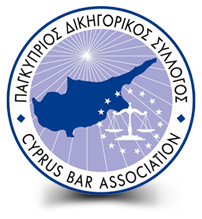 At the time he was a trainee at the AG’s office, he presented seminars at Cyprus Police Academy on human rights violations by the police upon the investigation of crime. Previously during his studies in the UK, he undertook an Internship Scheme at a Law firm that strictly specialises in Mental Health Law.